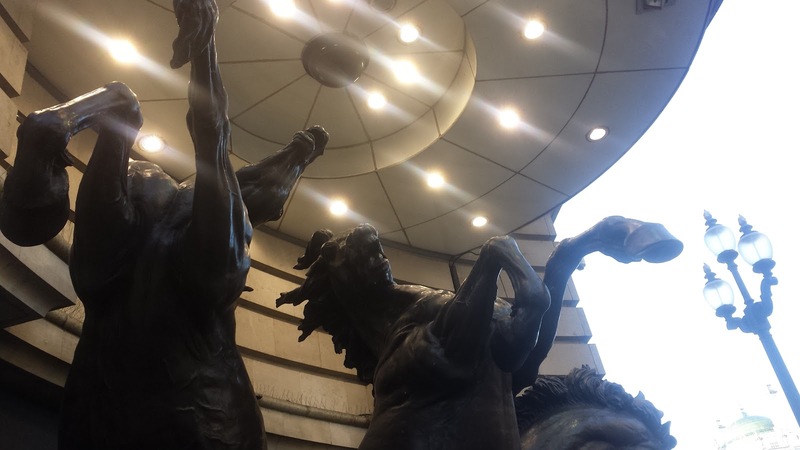 The Horses of Helios is a bronze sculpture by Rudy Weller. The statue is located on the corner of Piccadilly Circus and Haymarket. Helios, the Greek God of the Sun, rides a chariot drawn by his four horses, Pyrois, Eos, Aethon and Phlegon, from East to West every day. 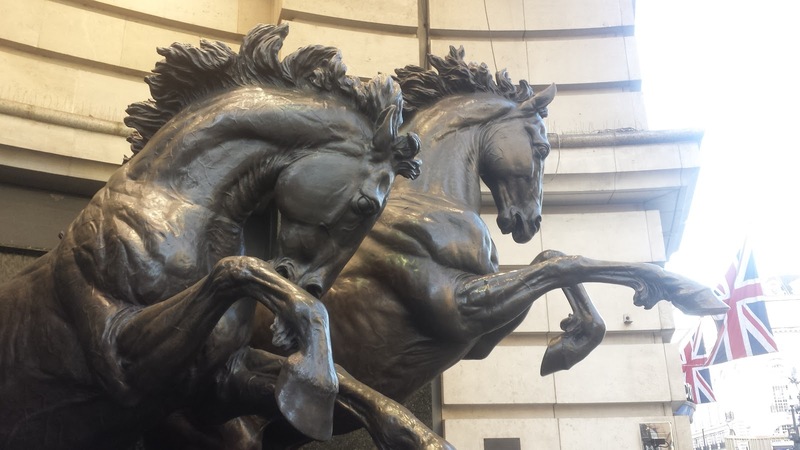 The statue was unveiled by HRH Princess Michael of Kent in January 1992 and dedicated a 'charity fountain' for the Disabled Living Foundation in 1994, again by Princess Michael.